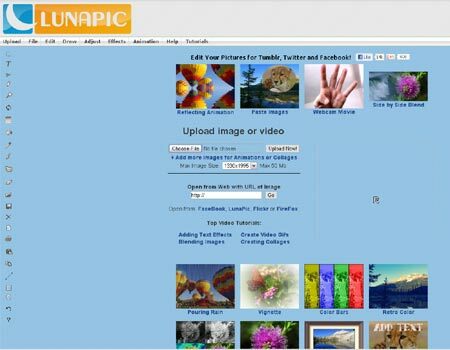 The sites like Picnik offer online photo editing options that help make your precious moments even more special. Through these virtual services, you can seamlessly tweak the images that have been snapped with all your close buddies and family members. Need some formidable tools that will do away with blemishes on photos and even add an interesting twist to dreary ones? Well, choose from any one of our picks and you’ll be able to do just that and a whole lot more. When the ‘picnik’ was over earlier this year, snap-happy individuals began looking at other options to satisfy their photo-editing needs. They’ll be able to find more than their fill, right here. Dabble in some monkey business with our first inclusion namely PicMonkey. 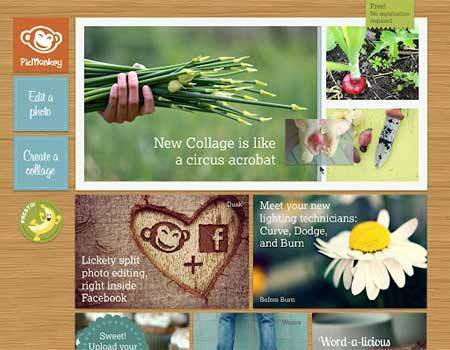 Through this delight, you can edit a photo or create a collage with just a few clicks. To make things a wee bit easier, there are dedicated sections for both options located on the left-hand side of the webpage itself. You can perform basic edits such as rotate and crop as well as sprinkle your pictures with fonts, special effects, frames, overlays and touch ups. The company even throws in a special PicMonkey Editor for Facebook which allows you to edit your snaps within the confines of the social networking site itself. What’s more, this service can be availed absolutely free of cost. Want to add a beautiful reflection or some pouring rain to your pictures? Well, let Lunapic show you how. Other features at a glance read as side by side blend, vignette, retro color, animated transitions, custom collage and picture frames as well as the ability to add text messages. Slapped right across its website are all the tools you’ll need to make your pictures stand out in the crowd. Some of the effects provided in this sites similar to Picnik array entrant include color bars, Christmas bulbs, photo booth, water effect, tilt tiles, add lens flare, censored box, buttonize, kaleidoscope and pencil sketch. You can directly import your pictures stored on Facebook, Flickr, Photobucket and Picasa to make some quick adjustments. Phixr is noted to be the complete imaging solution that can be taken advantage of directly through your web browser. All you have to do is follows 3 easy steps – upload your photo, edit it and finally save your masterpiece. The developer responsible for this service reveals that Phixr also comes in quite handy while you’re on holiday and want to share your fun moments with loved ones. You can simply hop onto the website, tweak the snaps and then email them to friends and family or upload the same to Facebook, Twitter, Flickr, Photobucket, Webs, SmugMug, Picasa, MySpace, WebShots, ImageShack and more. 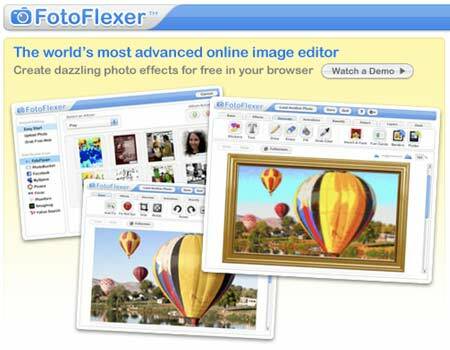 FotoFlexer calls on all shutterbugs to ‘create dazzling photo effects for free in your browser.’ They’ll be bombarded with appropriate tools such as fonts, shapes, doodling, animations, distortions, layers, retouch and even advanced options. Besides just offering a basic set, this contender in our Picnik alternatives roster also forays to the forefront with effects like cartoon, neon, painting, blur edges, pop art, ink stamp, sepia, heat map, night vision and patchwork, among others. So start ‘flexing’ your creative streak right here if you want to come up with interesting works of art. Pixlr strives to meet the editing needs of both professionals as well as photography enthusiasts who love to go trigger-happy either on their cell phones or digital cameras. 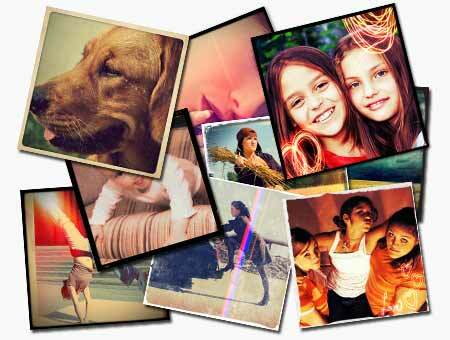 The photo editing service boasts of 3 formidable applications namely Pixlr Editor, Pixlr Express and Pixlr-o-matic. Once you dip your pictures in a pool of creativity, you can then post them on social networking sites such as MySpace, Facebook and Bebo as well as Fotolog, Flickr and Photobucket. Do you love drenching your pictures with vintage elements for a blast from the past experience? Well, you can do just that via your very own Android- or iOS-powered portable device through respective Pixlr-o-matic apps. What’s more, these software bits are available absolutely free of cost on Google Play and iTunes, respectively. 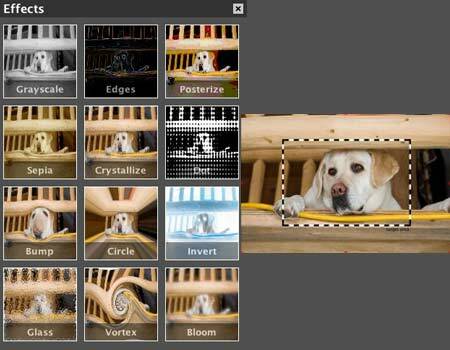 The customizable photo editor known as Pixenate can be seamlessly integrated into your site. It further provides a whole set of photo-editing tools for your visitors to exploit. As the brains behind this gem reveals, the service in question is great for photo-merchandising websites as it proffers tools for tweaking common picture problems that are generally faced by the public. This includes whitening teeth, removing the red-eye effect and brightening under-exposed photos. 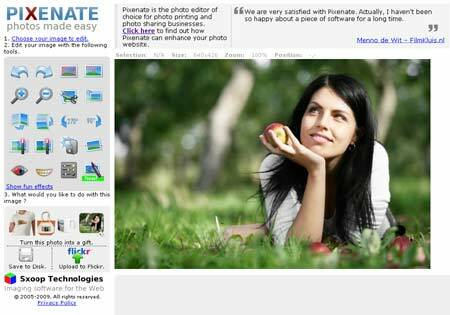 However, Pixenate stands apart from most of our other sites similar to Picnik as it comes tagged with a hefty price of $195. Snipshot enables you to perform basic image adjustments like sharpness, brightness, contrast and saturation as well as provides essential editing tools such as rotate, crop and resize. Looking for something more advanced? Well then, Snipshot Pro is just what the doctor ordered. Through this service, you can apply special effects, edit RAW files online and even employ face detection for whipping up quick portraits. And similar to our earlier delight, you’ll need to pull out a few bucks from your wallet if you wish to get your hands on Snipshot Pro. You can either buy a $5 2-week pass or avail of a monthly subscription that’s priced at just under $10. Utilize any one or more of our aforementioned sites like Picnik and never again will your cute pooch be called a devil dog because of the annoying red eye effect. You’ll also be able to put your own spin on all the photographs you’ve clicked. Shutterbugs may spend hours on end at these websites, creating perfect masterpieces that are worthy enough to be slapped across social networking sites. Our picks allow you to let your creativity flow across the PC screen – all you need is an internet connection and an innovative imagination. Did you see your favorite option pop up here or was it given a miss? Either way, we would like to hear about your personal preferences. So leave your comments and suggestions in the box below.